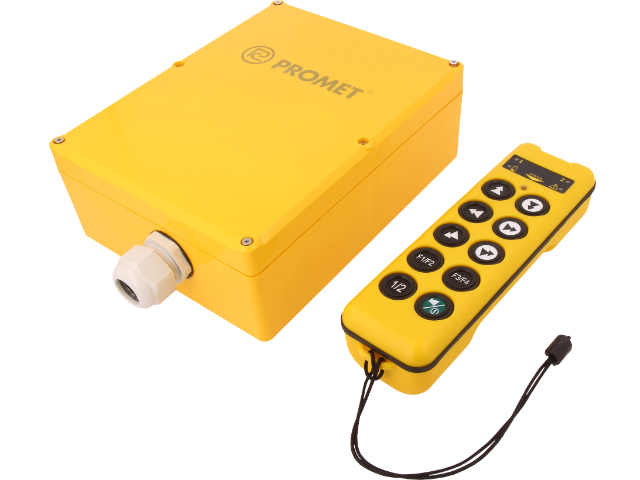 TME's offer has been enriched by the KR230V-NO radio control system from PROMET. KR230V-NO is a control system that enables wireless control of machines and industrial devices. The radio control system consists of a transmitter and a receiver. The transmitter uses radio waves to send instructions to the receiver, while the receiver picks up all commands which will be executed by machines / industrial devices. If the radio transmission is interrupted, incorrect, or false, the receiver will automatically stop the entire system.